A stylish, distinctive art-style can carry even a mediocre premise pretty far. Unfortunately, mishandling that same style can make even a fun experience feel bland and lifeless. This basically sums up my disappointment with 2nd Studio’s new Fig project, Jazon and the Dead. No, it’s not a typo, I thought so as well, but alternative name spelling aside, Jazon has bigger issues to overcome. Hoping to tap into the nostalgia for B-rated sci-fi movies of the 80’s, Jazon takes a simple, if overdone premise, and tries to make it exciting again. The zombie apocalypse has come, and the world has been turned upside-down. Our titular character, Jazon, wakes up with no memory of any of this, but is perfectly capable of going head to head (literally) with the undead hordes. Despite the wonderfully stylistic cell shaded characters and animation, the game is more of a top-down action-brawler. Which is disappointing, not only because the cutscene graphics looked amazing, but also because the vantage keeps players far away from the action. Taking a cue from gritty comic book artists the characters are dynamic and interesting, up close. The story teases choice driven narrative and tense puzzles. This quickly devolves into a conga line of zombies taking turns getting a beat down. It feels like an ultimately unsatisfying play-style for what had the potential to be vibrant experience. The character dialogue is another area where Jazon and the Dead seems to falter. Jazon rattles off zingy one-liners like he’s trying to be Duke Nukem’s biker brother. It’s a minor, nit-picky thing, but the forced dark humor feels like it’s trying too hard to compensate for the wasted visuals. The Fig campaign is doing okay, already well on the way to their $65,000 goal. Based on that it’s entirely possible I’m overlooking something here. Honestly, I can’t figure out what would be especially appealing about this campaign. 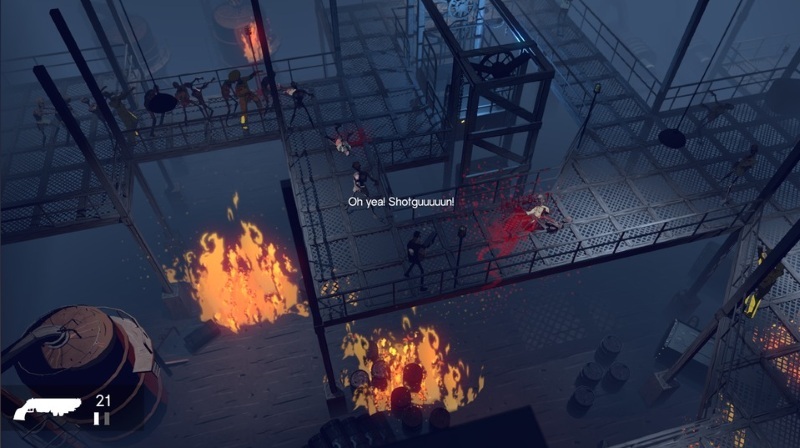 It seems like just another top-down zombie apocalypse shooter/brawler that occasionally teases with better graphics than the game can support.